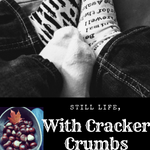 Our Must Watch Holiday Favorites | Still Life, With Cracker Crumbs..
We watch The Polar Express with hot cocoa, A Charlie Brown Christmas, Home Alone, and those old Rudolph movies for sure. I wouldn’t mind checking out that Bing Crosby movie. I should have my kids watch A Christmas Story this year. Oh, and we plan to marathon Harry Potter of course. I love the Polar Express idea! I might have to start that one too! And Harry Potter – those books all do feel so holiday to me too. 🙂 Not the Deathly Hallows so much but..most of the others, especially the books at the beginning. Now I want to start reading HP again! Yeeesss. We also watch Elf and the Santa Clause movies. Sometimes we watch Home Alone and inevitably A Christmas Story. I have never watched a Santa Clause movie! I think we need to rectify that. Lol. I love Elf!! Such good movies!